If you have plans to attend any fashion week events or shows and you know your going to be short on time, but you still want your hair to look #flawless, shop our Fashion Week Hair Survival Kit & thank us later. Skip the hotel blow-dryer and cut your styling time in half with this travel-size blow-dryer from Drybar. It packs all the power of your regular blow dryer, in a smaller package. No matter what style you choose for the day, you’re probably going to want to add a good amount of hold to it. Aerosol cans can be cumbersome and heavily-scented so opt for a pomade like this one. You can use it to create piecey texture on loose waves or lock in a straight ponytail. 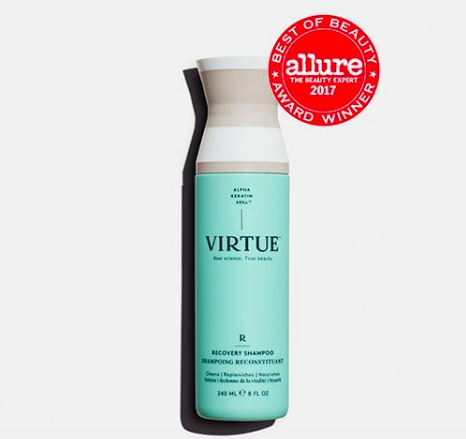 A staple in many stylists kits, this texturizing spray will give you max volume and texture with just a few pumps. It also gets bonus points for it’s heavenly scent. There will be times during your busy schedule when you’ll need your hair up and out of your face (but you won’t want to ruin your style completely). A chic hair screw like this one is easy to use, looks good and doesn’t cause any creases. The thing about fashion week is; you never know when you’re going to have your picture taken. If you do (even if your just in the background) the last thing you want your hair look is dull & lifeless. HIF hair makes hue-support cleansers for black, brown, blonde and red and is the color pick me up. Think of it as a mini-gloss treatment without the waiting time. Fashion week is synonmous with lack of sleep, and lack of proper meals. A few shots of the elderberry juice packs a heavy dose of vitamin C which will not only fend off tired eyes and cold/flu viruses, its one of the most effective nutrients to help grow and strengthen hair. A self-explanatory must have for your bag. Bring it with you everywhere because in a city like New York, you never know what will be thrown at you on your way to a show. This is a multi-tasking, nourishing and soothing cream protectant for your hair that can smooth frizz while it works to prevents damage and breakage. If you’re planning a long day in a snatched ponytail or tight braids, smooth this in before-hand to limit damage. Another option is to use it as a light night mask to eliminate bedhead. What’s your fashion week must-have? Comment below!